Ruined home on Mt. of Olives. 3 died here. 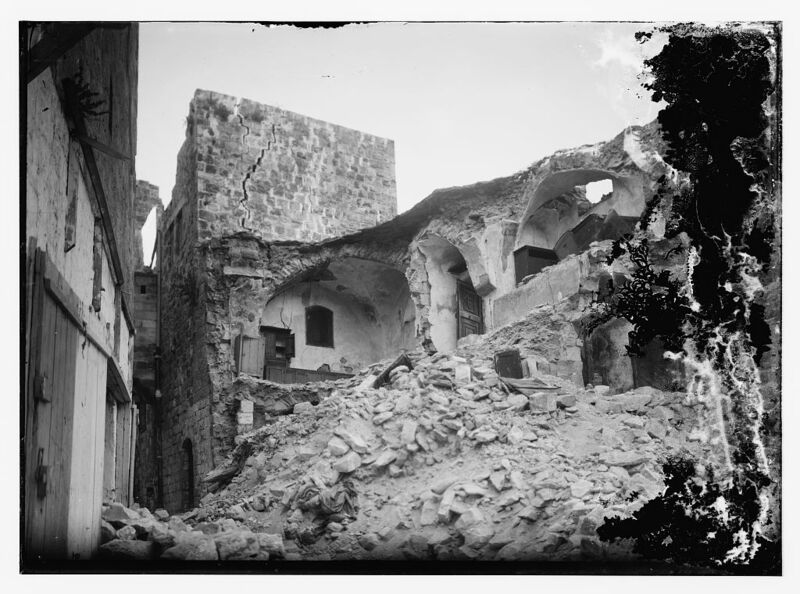 ﻿﻿﻿﻿84 years ago this week (July 11, 1927 at 4 PM) a powerful earthquake struck the Holy Land. 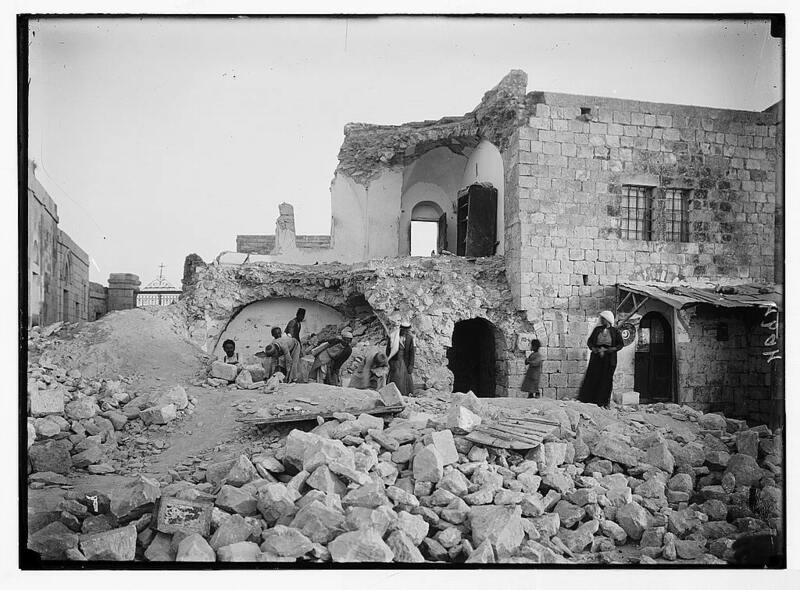 With its epicenter located in the northern Dead Sea area, the towns of Jericho, Jerusalem, Nablus (Shchem) and Tiberias were badly hit. An estimated 500 people were killed in those locations. 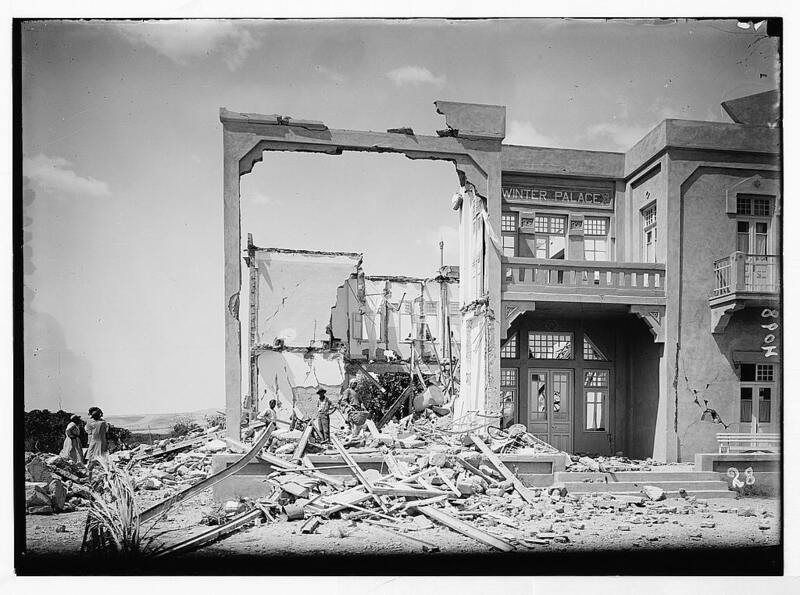 Some of the Matson-Library of Congress collection do not record where their pictures was taken. 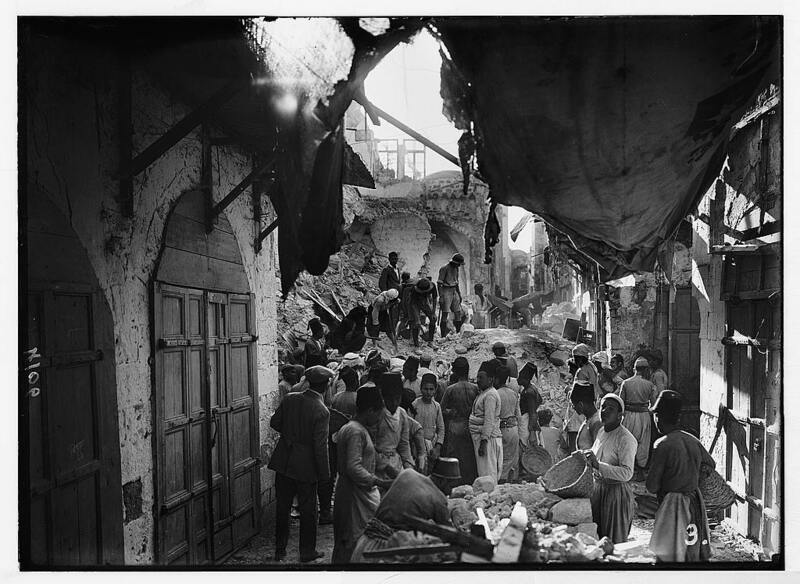 Since the photographers were based in Jerusalem, it can be assumed that those pictures were taken there. One of the worst natural disasters in Israel's history. Casualties were based on the mud houses that collapsed. I hope this never happens again.